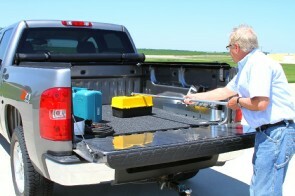 With the EZ-Retriever II you won't have to climb into the bed of the truck to reach your cargo. The hook makes accessing your cargo from the tailgate or side of your truck convenient and safe. Works great for vehicles with truck caps, tonneaus or lids. Also available is an the Extendable EZ-Retriever with longer reach capability. 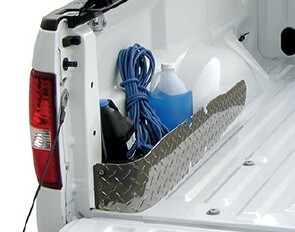 Complete your truck bed with a Access Truck Bed Pocket, create valuable storage from wasted space. Keep your pickup bed more manageable by allowing for convenient, out of the way storage and by providing easy accessibility at the rear of the truck. Rugged enough to hold tools and sporting gear.